His coalition currently has 52 seats, but one partner with 22 seats is now aligned with former strongman Yameen Abdul Gayoom. 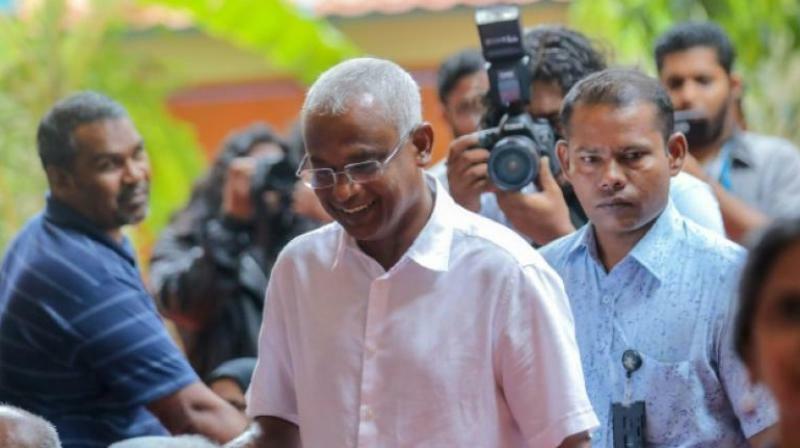 Male: People in the Maldives voted in a crucial parliamentary election on Saturday that many hope will help President Ibrahim Mohammed Solih overcome a coalition split that has hampered his efforts to restore political freedoms and tackle corruption. Some voters who had lined up earlier were allowed to cast their vote well after balloting officially ended at 6 pm in the Indian Ocean archipelago nation known for its luxury resorts, said Ahmed Akram, an election official. He said voter turnout was over 78 per cent. Officials were planning to announce results later on Saturday night. Solih’s Maldivian Democratic Party is seeking at least 44 seats in the 87-member parliament for a majority to pass legislation needed to implement pledges from last year’s presidential campaign. Solih defeated Yameen last year, giving new hope to the young democracy that has gone through a tumultuous transition that threatened to drag the Maldives back to its autocratic past.